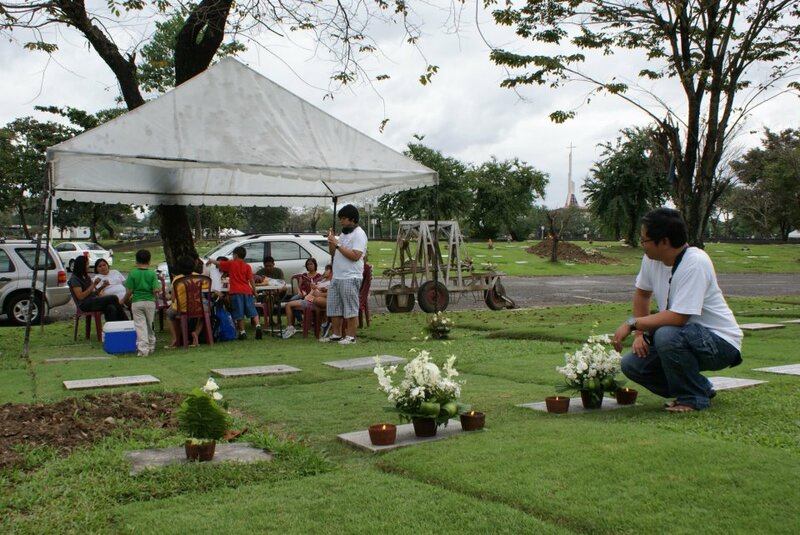 Undas or All Saints' Day and All Souls' Day in the Philippines is one big happy occasion widely observed and celebrated by Filipinos to honor and commemorate their departed loved ones with fondness and love through prayers, and by offering flower wreaths or garlands and lighting candles at their graves. 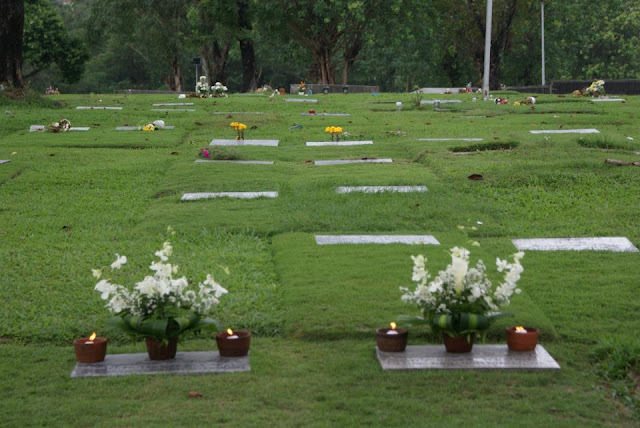 It is a special time of the year when families and relatives gather together in a sort of a family reunion in the cemeteries, memorial parks, and mausoleums. Bringing and sharing of foods and beverages in a pot luck, taking family photos, playing card games, singing, children making wax balls out of melted candles, exchanging ghost stories and reminiscing about the departed amid all the festive atmosphere are precious bonding moments that depict how tightly-knitted Filipino families are that even those that have long passed away are still much remembered and fondly cared for. Tombs are cleaned or repainted, candles are lit, and colorful bouquet of flowers are offered. Entire families even camp in cemeteries and sometimes spend overnight near their relatives' tombs. Bouquet of flowers are offered to the dearly departed loved ones. Historically, the tradition of celebrating All Saints' Day and All Souls' Day is said to have started in the 10th and 11th centuries and was based on the Catholic doctrine that prayers of the faithful help purify souls in purgatory. The Roman Catholic Church has specially set the day apart for the commemoration of the souls of the departed faithful. And while All Souls' Day falls on the 2nd of November, most Filipinos however celebrate the occasion as early as November 1, All Saints' Day, and are usually given as special non-working holidays (only November 1 is considered a regular holiday). 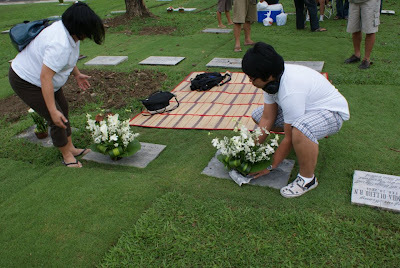 Undas is also an occasion to foster stronger family relations. 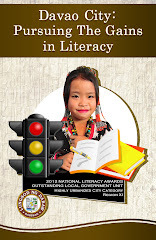 In the Philippines, Undas is the third most important holiday after Christmas and Holy Week. 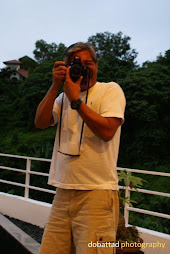 This old-aged tradition is based on the Filipinos' belief, particularly for Catholics and Christians who make up approximately 90% of the population: about 80% belong to the Roman Catholic Church while 10% belong to other Christian denominations, particularly the Catholics' belief in the "communion of saints, the forgiveness of sins, the resurrection of the body and life everlasting . . ." as recited in the prayer of the Apostle's Creed. It is believed that, through constant prayers and offer of sacrifices, the sins committed by the departed faithfuls while on earth are cleansed and their souls purified, their sufferings and pains are alleviated, and their stay in purgatory is shortened. In return, the souls also help and pray for the living. Undas is the time to remember all the members of the Mystical Body of Christ, the Church Triumphant in Heaven (The Saints), the Church Militant on Earth (The Living) and the Church Suffering in Purgatory (Poor Souls). 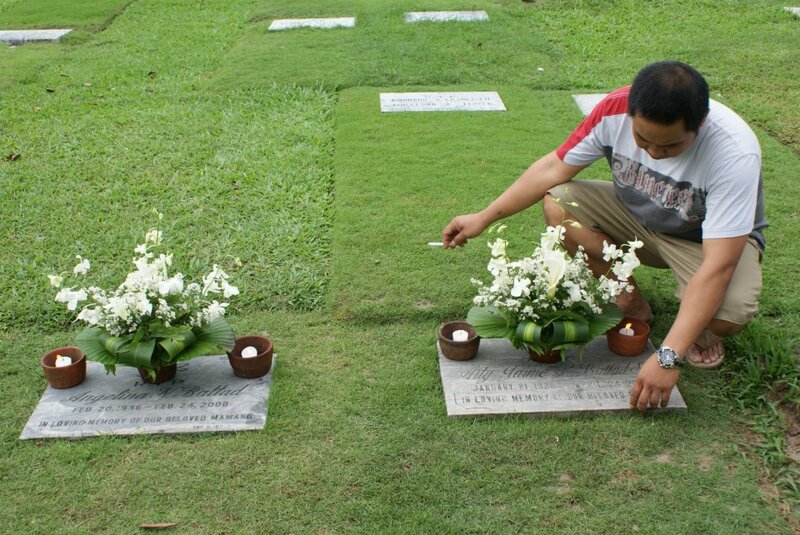 This special post is dedicated to, and in loving memory of my Papang and Mamang.